One of the most common diseases that many individuals suffer from is diabetes. Often individuals that suffer from a severe form or have had diabetes for a long time can end up with some severe foot problems. 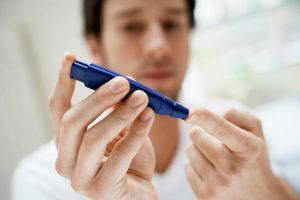 They can develop wounds on their feet that are almost impossible to heal, and in some cases, diabetics can end up with amputations because of this. When the health care providers are faced with the challenge of trying to heal a foot wound on a diabetic that is not responding to traditional methods, some are trying a treatment with the hyperbaric oxygen therapy. This is not something that is new. The first actually controlled trial for this condition was conducted over 20 years ago. Since then there have been several trials that have been carried out, all with varying results. There have been several problems that have arisen with the use of this type of treatment with the research being controversial. In some cases, some health care providers will not recommend the treatment to be used partially because of the large cost that can be associated to this. It may require several treatments with the hyperbaric oxygen therapy and these treatments do not come cheap. There are private institutions that do offer a series of treatments for diabetic foot wounds using this form of therapy but not only are they expensive they are time-consuming. The most common type of wound that will affect the legs or feet of diabetics are what is called diabetic ulcers. If these are not able to be fully healed within a three month period they are considered to be a chronic condition. There are different grades to these type of ulcers and many in the health industry feel that when all other treatments are failing, that hyperbaric oxygen therapy would be well worth trying as there have been some good results in some cases. Every individual is different of course, and how they will respond depends on their specific circumstances.